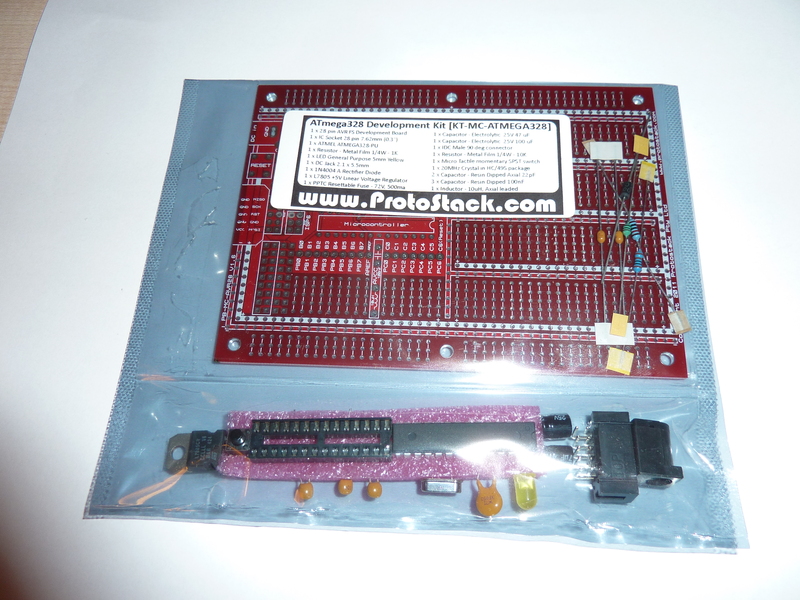 Power circuit that allows powering Atmega directly(2.7-5.5 V), or through a L7805 voltage regulator(8-35 V). L7805 circuit includes a thermal fuse. 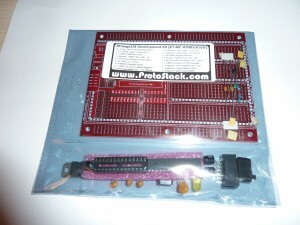 10 pin ISP connection for programming. 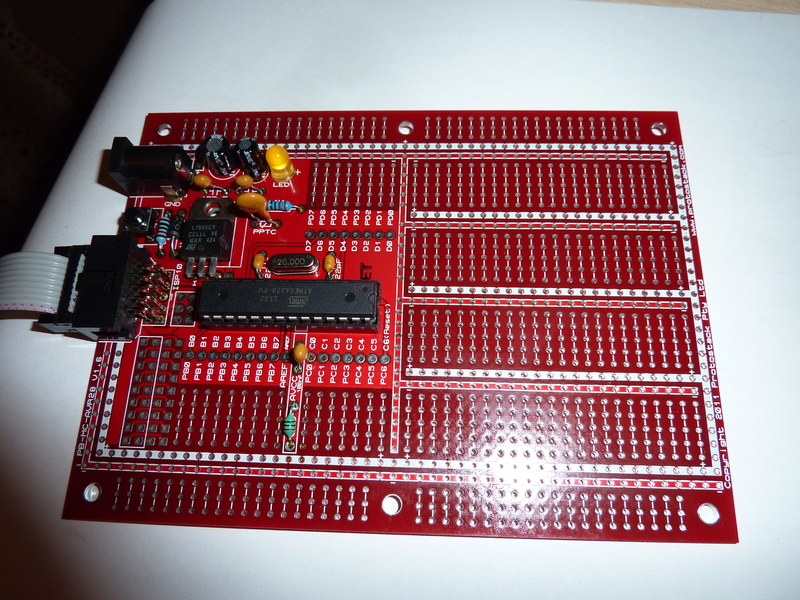 A kit comes as true kit, and components must be soldered by user. 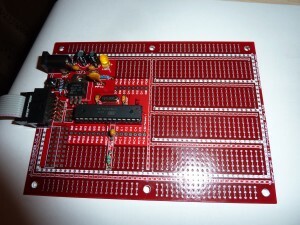 This entry was posted in Atmega328 and tagged Atmega328, Kit, PWM on November 5, 2011 by Darius.